Napoleon from Starring Rolls Cafe HS. 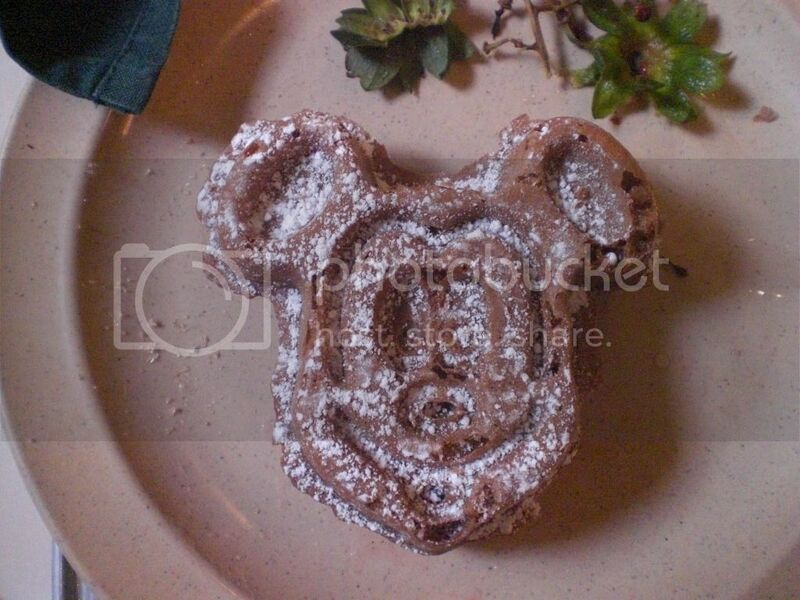 Chocolate Mickey Waffle from Crystal Palace. Reactions: disney1077 and Crush Dude! Breakfast Pizza from Crystal Palace. I've seen lots of variations of " Surf & Turf " but that one takes the biscuit.Correct me please if Iam wrong but we've got a steak,with a single batter fish,broccoli,some kind of mash,a dip,and a Yorkshire pudding with gravy. No way Jose! This is a wind up surely. 2 link sausages, several rashers of bacon,omelette,hard boiled egg,a sugar doughnut thing,and a slice of either quiche or heaven forbid,pizza. Now that's what Iam talking about.awesome. 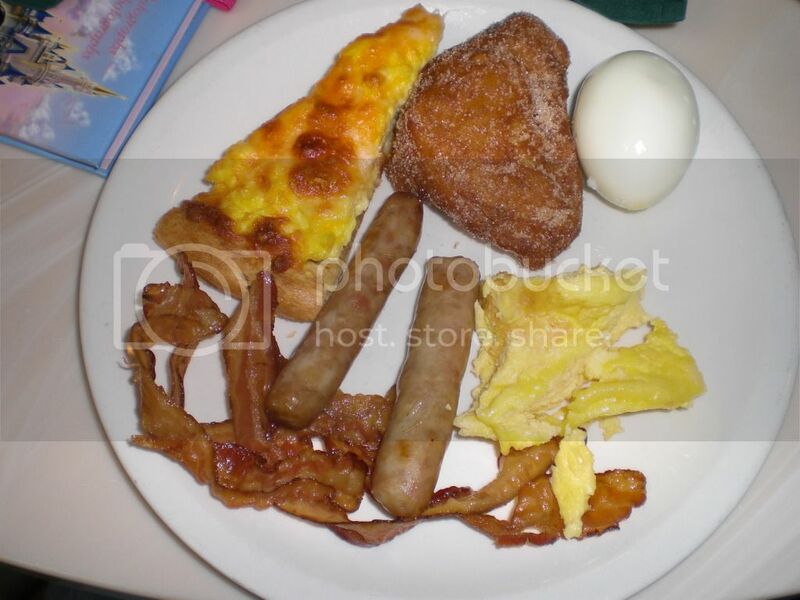 That quiche/pizza is the crystal palace breakfast pizza taken 3 years ago(just found some pics) plus that was only plate one of many from the buffet. 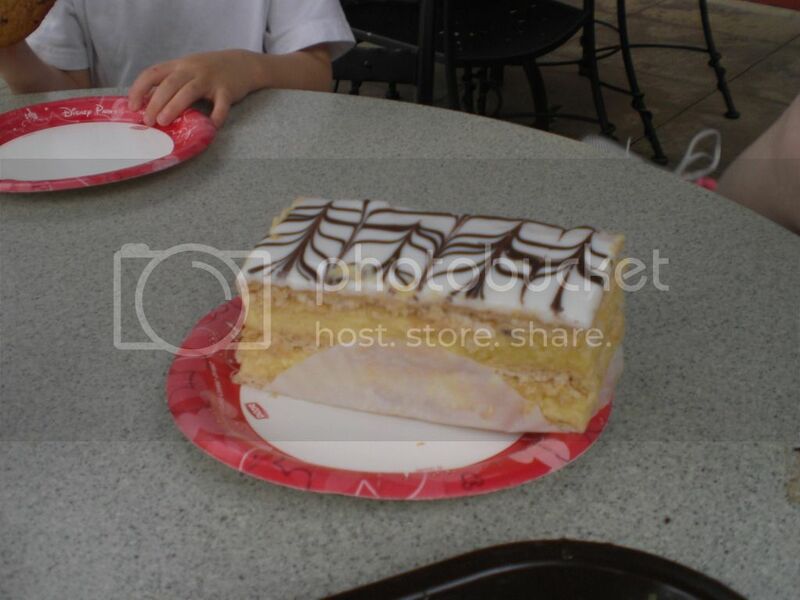 Looks really good,I can taste it from here. No wonder it looked odd.3 years old,it's got to be off. It does look really good. 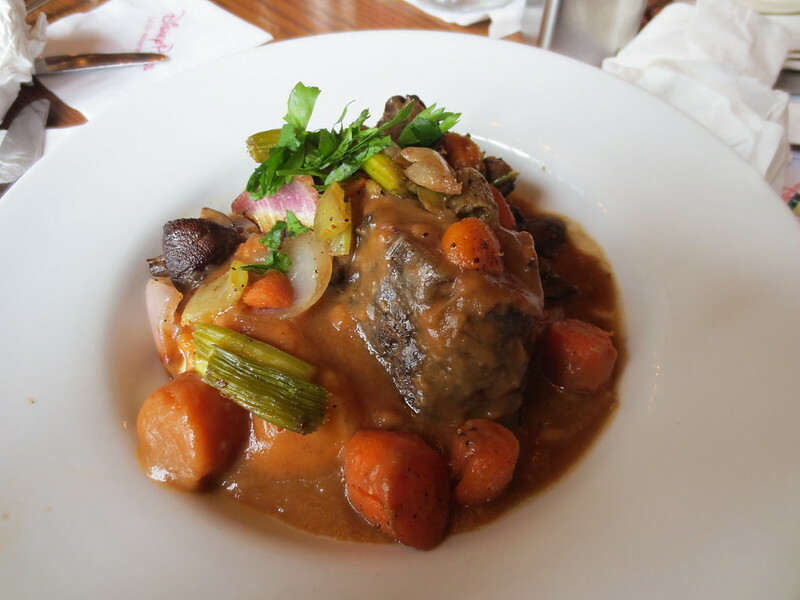 I love the pot roast at 50s and we had 50s booked but we had to switch thigns around cause we got chosen to preview the FastPass + so we picked LTT cause it has pot roast. If i can remember rightly i think the mash had bacon in it (not too sure) plus i think we had a side of veg as well. Can't remember what was in the side dish though. It was all very nice. 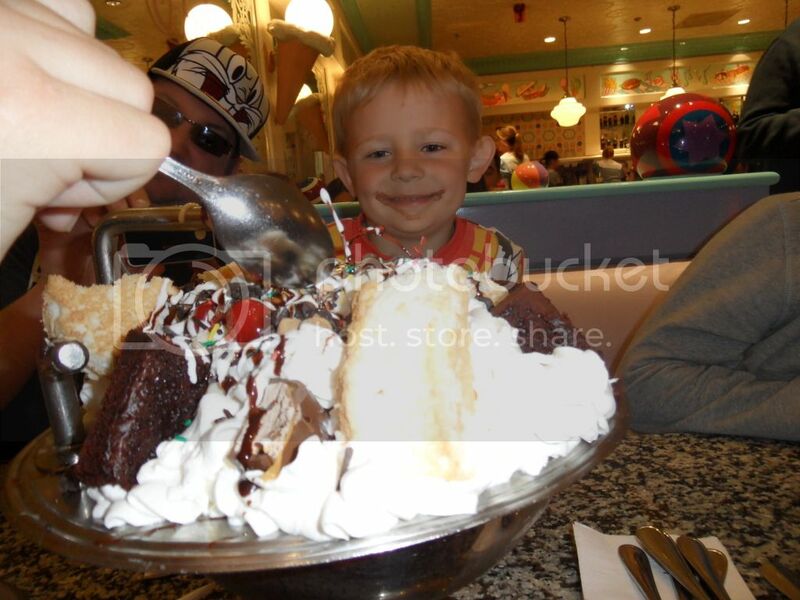 DS with the kitchen sink from beaches and cream. 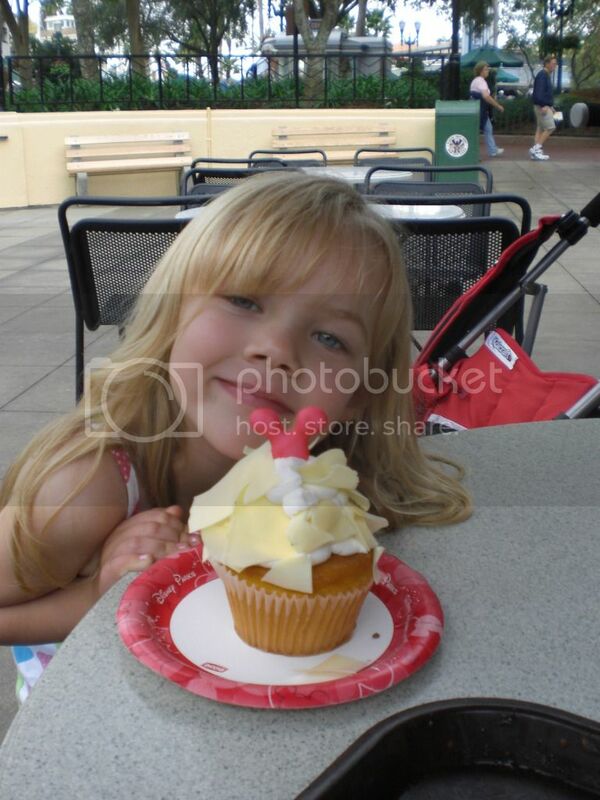 It was taken in November 2009 on our second trip from breakfast at crystal palace. It's the only time i can remember seeing them come to think about it. DD White choc cupcake from Starring Rolls HS. Hey,that wee dudes got a chocolate goatee. should have seen it after tackling that. more like a full beard when he had finished.